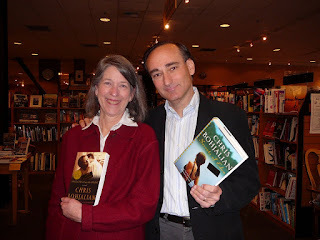 Recently our very own Cheryl McKeon was able to sit down with bestselling author, Chris Bohjalian. Check out her interview below. Secrets of Eden, Chris Bohjalian’s twelfth novel, again examines a social issue as revealed through engaging characters and gripping plot twists. Why does he choose these often controversial topics for his books? And his popularity and sales attest to the fact that, indeed, his yarns are good ones. Secrets of Eden appeared on the Publishers’ Weekly bestseller list just 5 days after its release. “I base my novels on one precise idiosyncratic moment,” he said in a recent Third Place Books visit. While researching The Law of Similars, a 2000 novel, he met with a victims’ rights advocate who showed him Polaroid photos of head indentations in sheetrock. “I never stopped thinking about those images,” he said. After Double Bind, his eleventh novel, was published, sexual violence and domestic abuse victims from around the country wrote asking if they’d met him, because he seemed to know their stories. With the Polaroid images still on his mind, he researched Secrets of Eden, which opens with a husband and wife’s apparent murder – suicide, and includes a “snarky” pastor whose involvement in the tragedy forces him to examine his faith. Asked who his most autobiographical character might be he referred to Stephen Drew, the minister. “I fear that’s who I’d be as a pastor!” Bohjalian says with a slight shudder. The novel is set in his home state of Vermont, which he says is known for foliage, syrup, and gourmet ice cream, but where two-thirds of its homicides (15 in 2008) are domestic abuse. Growing up in a family that moved frequently, Bohjalian treasures his home, family and life as a writer that revolves around that stability. Nine of his 12 books are set there. He plans to write a sequel to Skeletons at the Feast, an exception to his Vermont setting, a WWII novel set in Poland and Germany. The last sentence in the book gives a clue to what will happen, he shares. And the protagonist of his next book is a pilot of a small plane who does not share Sully Sullenberger’s story but crashes in a deadly Lake Champlain landing, and his attempt to recover from the tragedy by moving to a small – yes, Vermont – town. 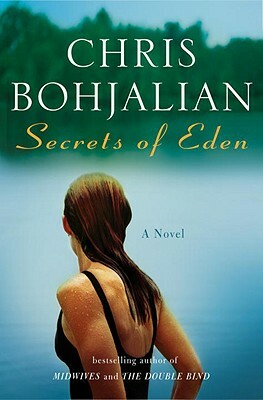 Autographed copies of Secrets of Eden and Bohjalian’s other titles are available at Third Place.